You would never consider buying a car without doing some cost comparison to see how much money you would save. So why would you sign up for an auto insurance plan without doing the same? If you have little to no clue on how to compare auto insurance quotes, here are a few tips that are likely to save you some money. If there have been significant changes in your life since the last time you went shopping for auto insurance, make sure all information is updated in your new quotes. There are many important factors that determine auto insurance pricing. For example, buying a home or getting auto insurance after marriage usually means cheaper rates for you since homeowners and married people have a tendency to file fewer claims. If you add a teen driver to your household, or looking to move to a new ZIP code, then what you pay may drastically change. Comparing quotes usually requires information you can easily identify: your name, address, the make and model of your car, insurance history and a list of past claims and violations. Once you find a policy you like, continue to get more information before purchasing it. It is advisable to have information such as your vehicle’s VIN, driver license number and any additional drivers who’ll be operating the vehicle ready ahead of time to tell your potential carrier. The deductibles on comprehensive and collision coverages offer you the best option of influencing the rates you get. Many claims are small and when you choose higher deductibles, you take on more of the risk associated with paying such claims. Choose amounts you are able to pay from your savings or are sure you can easily scrape together should the need arise. On the other hand, you may receive a discount for making your payment in full. Will liability insurance limits still protect your assets such as savings and your home in case of an accident? With modest assets, you don’t need to sweat about getting high limits. However, if you are recently married, just bought a house or are building a nest egg, you may require more liability insurance. How will you pay for medical treatment in case you get injured in an accident that is your fault? If you have no health insurance, this is the time to add some kind of coverage. For someone with health insurance, consider whether you have the cash required for co-pays and deductibles, and whether your regular passengers have medical insurance. It is advisable that you visit an auto insurance quote comparison website, such as CoverHound, to calculate what policies drivers like you are purchasing. 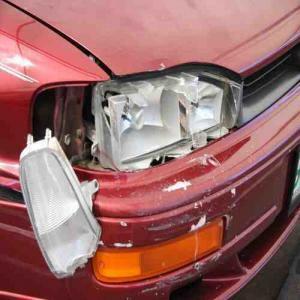 Do you need collision and comprehensive “full coverage” to replace or repair your car? Sometimes, the premiums you pay would be better utilized when channeled towards a savings account for a replacement. A firm that sells both home and auto insurance wants you to purchase both. If you have more than one car in your family, they’ll want to insure them all. Home, auto and multi-car insurance discounts can be quite substantial. A slightly expensive premium from an insurance firm offering a bundle on home and auto coverage may be even cheaper when discounts are applied to both policies. For a household with a teen, be on the lookout for an attractive student discount. Limit on permissive drivers. While the typical policies offer you leeway to lend your vehicle to any licensed driver, nonstandard policies may limit the coverage the permissive driver gets. No automatic coverage. A standard policy may insure you behind the wheel of a rental or new car, with limitations. Nonstandard policies may not allow this. If you compare auto insurance quotes line by line, you will find that not all policies are the same. It’s easy to assume that the cheapest policy is the best one, but that is not always the case. Sometimes, the lowest cost policy is also the one that offers you the lowest coverage limits. Always do your research to ensure that you get the best value on great auto coverage. Interesting, I don’t remember having to make any kind of a down payment when we switched our car insurance plans last year. I’m so glad we shopped around! Especially now that we are insuring a $45,000 sports car, I cringe to think what I might be paying if I hadn’t done my homework first. I like what this article mentions about payment plans. I think this would be good way for me to figure out what insurance would be best, as I think electronic funds transfer would be easier. I will definitely have to keep this in mind when shopping around. I’m going to be purchasing car insurance for my new car, so I’m happy that I found your post! I think that all of your tips are going to help me to save money on my car insurance, especially your tip to compare deductibles and payment plans from different companies. I think that with just a little research, I’ll be able to find a plan that suits my needs for the best price possible. Would you suggest that I look at quotes from the different insurance companies online, or should I go into their office in person? Thank you for the help! Great idea to inquire about payment plans. Sometimes you can find different discounts simply by asking so it’s always a good idea to ask questions. Thanks for the advice!